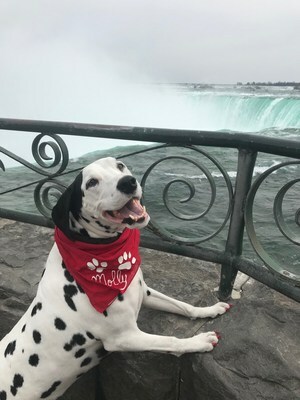 TORONTO, April 9, 2019 /CNW/ - X marks the spot—lots of spots!—on April 10 when Dalmatian Molly the Fire Safety Dog is at the Ontario Science Centre for the advance screening of the new IMAX® film Superpower Dogs. 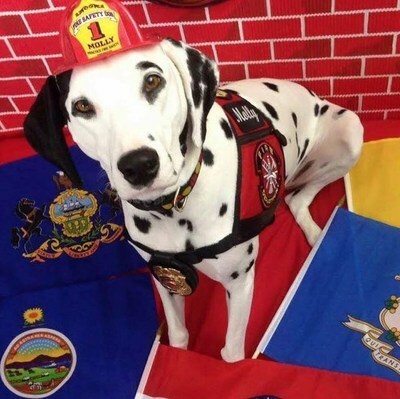 Along with her human companion Firefighter Dayna, this fire service dog teaches children and their families about fire safety to reduce fire-related deaths and injuries. Watch six-year-old Molly test a smoke detector, demonstrate how to crawl low under smoke and raise her paw as she swears-in junior firefighters. In addition to serving as Superpower Dogs' official ambassador, Molly is a Trick Dog Champion, canine actor and five-time American Humane Hero Dog Awards® nominee. For more information about Superpower Dogs, including the official trailer, please visit OntarioScienceCentre.ca.